From hiring a cab to ordering food, through to buying clothing and arranging home services online, e-commerce stores offer the spectrum of conveniences from the comfort of our own homes. E-commerce grows and changes as technology evolves, allowing businesses to facilitate new techniques to make online selling and shopping a lot more efficient and fun. Many new trends have emerged over the years in e-commerce, which has led to online retailers opting for guest blogging, website optimisation for higher CTR and conversion rates, responsive design and general improvement in site performance. Since the demand for these services has grown, there have been many developments in the field of technology, most notably in mobile, social networking, big data, analytics and personalisation. These changes have given considerable rise to new trends in the vast field of e-commerce marketing. So, what exactly is e-commerce? E-commerce refers to any form of a business transaction conducted online. The best example of e-commerce is online shopping which is defined as buying and selling goods via the internet on any device. It also entails other types of activities such as online auctions, online ticketing, internet banking and payment gateways. E-commerce can be identified by 3 main groups based on participants that use it. These sub-types are: business to business (B2B), business to consumer (B2C) and consumer to consumer (C2C). 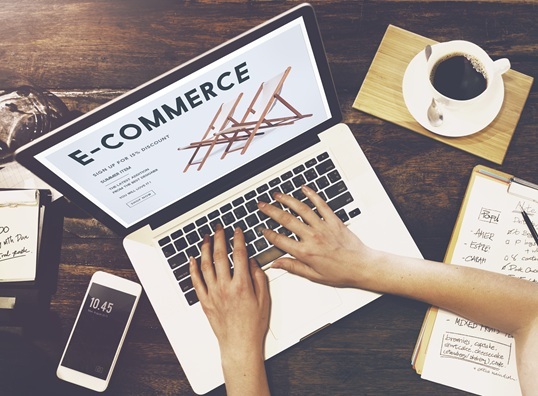 E-commerce is the fastest growing retail market in Australia and world over projected to hit $4.054 trillion in sales in 2020. Global market reach – For example, where a physical store will be limited by the geographical area that you can service, but with an online store or any other type of e-commerce business y global market reach is suddenly possible. Around the clock availability – The greatest benefit of running an e-commerce business is that it is always open. For business owners this translates to a dramatic increase in sales and to a customer, immediate availability of products and services at any time of the day are offers that no physical store can match by convenience. Reduced costs – E-commerce business can run on low cost as there is no need to hire sales staff or maintain a physical storefront. While warehousing is required for product storage, overheads are minimal. Targeted marketing – With access to consumer data and an opportunity to keep an eye on customer buying habits, e-commerce businesses can stay agile and shape their marketing efforts to provide a better experience and find new consumers. With so many benefits to offer and rapid growth in the e-commerce industry worldwide, businesses should leverage it to grow and expand. If you are looking to start an e-commerce business then get in touch with One Stop Media today. When You Need Reputation Management, You’all know it. Here’s what to do.